We’ve all seen traditional gift guides by now. 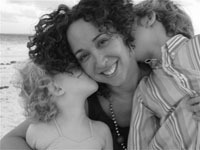 So check out these “gifts with soul” for something a little more unexpected. These holiday gifts are perfect for the people on your list who already have everything—and there’s nothing better than sharing a little social responsibility and giving something that feels even better to give than it does to receive. Relief Beads are the perfect gift for a boho chic friend who is going on a fabulous warm-weather vacation. They look cute with a bikini or with wedges and white jeans. I love how they look on guys too. 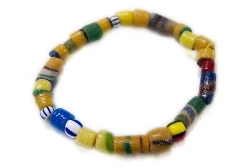 Relief Beads are beautiful, handmade, African beaded bracelets that raise awareness and contribute funds for Relief International’s humanitarian efforts in Darfur. Calling all photography buffs—make your own exquisite, professional-quality coffee table book. These are as beautiful as something I’d buy at Assouline. Make a book for loved ones, or give a gift card so they can make their own. 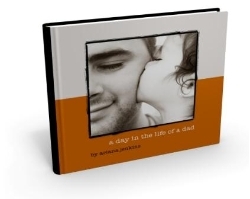 Prices range from $12.95 for a 20–40 page soft-cover book, to $83.95 for a 401–440 page hard-cover, image-wrapped book. Falling Whistles sells whistles as part of a campaign for peace in Congo. Children have been affected more than anyone by this war. Watch the video and read the journal entry of one man’s life-changing sojourn in war-torn Congo—too sad for me to share here. His story is poetic, poignant, and will leave you feeling that you want to do anything you can to help. 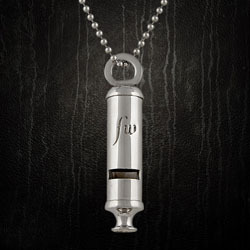 Buy a friend a whistle, and feel good knowing that the proceeds are going toward rehabilitating and advocating for the country’s children. For the bookworm on your list—buy any Penguin Classics for (Product) Red, and 50% of the profits will go directly to the Global Fund to Help Eliminate AIDS in Africa. These are the books you’ve always wanted to read and never seem to check off your list. 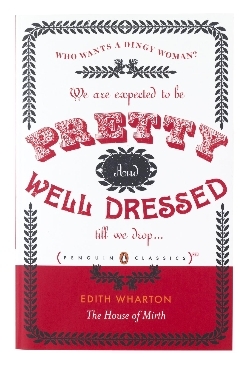 Authors include Edith Wharton, Joseph Conrad, and Henry James. 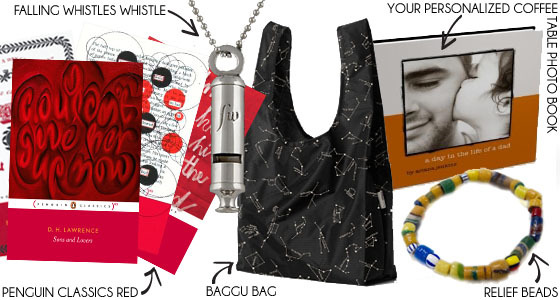 For the environmentalist on your list—give Baggu reusable bags in a different color for each day of the week. Or buy the adorable animal-print Baggus, designed in collaboration with No. 6, the vintage and indie designer boutique in New York’s Little Italy. I’ve been using my No. 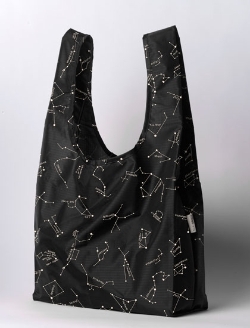 6 black constellation print bag and can’t get enough of it. Fact: using one Baggu for one year replaces 300–700 disposable bags. Looking for a holiday filled with music and cheer? You could win an iHome Kitchen Speaker System. Listen to your holiday tunes while viewing the latest cookie apps—yes, you really can have it all this season! All you have to do is tell us your favorite holiday song. For contest details and to enter for a chance to win, click here. Big gift ideas come in small packages—and smaller prices—this holiday season with our 12 holiday stocking stuffers under $12. Spread some fashion and beauty cheer playing Santa’s little helper to those on your holiday gift list. With a dozen of our favorite fashion and beauty products of the year, from slipper socks to travel-inspired makeup, you may want to make a shopping list like ours: 1 for them, 2 for me, 3 for them, 5 for me! It’s the little things in life that count. And prices this budget-friendly mean you don’t have to count carefully. Now, there’s some happy holiday shopping advice! 1. BUY HUE SNOWFLAKE SLIPPER SOCKS, $10; 2. BUY VICTORIA’S SECRET ORNAMENTS, $10 EACH; 3. BUY FOREVER 21 COSMETIC BOTTLE PJ SET, $10.80; 4. BUY FRUITS & PASSION FOAMING BATH, $4 EACH; 5. BUY TARGET BEADED COIN PURSE IN MULTICOLOR, $10; 6. BUY STILA COSMETICS TRAVEL PALETTES, $10; 7. BUY CHARLOTTE RUSSE COLORED SPARKLE RING, $6.50; 8. BUY NEST FRAGRANCES PROJECT ART SINGLE VOTIVE CANDLE, $9.99; 9. BUY ANNA BELÉN FARRAH HEADBAND, $6.80; 10. 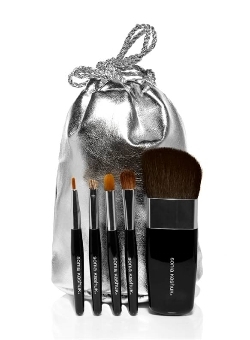 BUY SONIA KASHUK LUCKY STARS COSMETIC BRUSH SET WITH SILVER BAG, $9.99; 11. 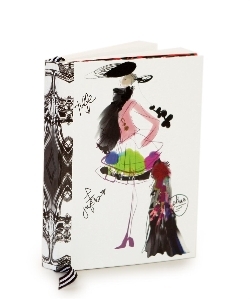 BUY CHRISTIAN LACROIX CROQUIS NOTEBOOK, $12; 12. BUY BATH & BODY WORKS SIGNATURE COLLECTION MINI RITUAL GIFT SET, $10. It’s getting chilly, and there’s no better way to stay warm than by rocking the Milly Knit Holiday Gift Set. You could win this chic hat and gloves by telling us about your favorite kind of holiday party. For details on entering, click here.